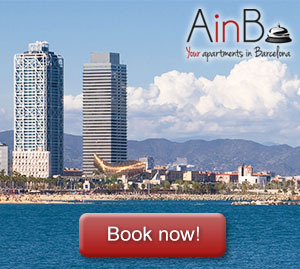 Gothic Quarter, El Born or El Raval are some of the most famous neighbourhoods of Barcelona. They are located in the centre of the city and day after day their streets are visited by a large number of tourists. Barcelona’s Cathedral, St. Jaume square, Boqueria market, the Ramblas and a wide range of beautiful examples of modernism in Barcelona are always part of the list of places to visit while walking around the Catalan capital, but they are not the only ones. Located in the upper side of the city, Pedralbes neighbourhood is an elegant and gorgeous area where we find some astonishing hided architectural jewels. In the next paragraphs, we talk about this special neighbourhood of Barcelona. Pedralbes neighborhood is in the so-called “high zone” of Barcelona. This area is nowadays the highest-level residential area of Barcelona, with large mansions – old and new – surrounded by gardens, such as the ones we find around Pearson Avenue and the Oreneta Park. Unlike the Eixample district, the structure of Pedralbes neighbourhood does not follow a grid pattern. Instead, Pedralbes is divided into two parts since the 19th Century: north and south. Additionally, in Pedralbes neighbourhood we find some breath-taking buildings. Pedralbes Royal Palace (or Palau Reial de Pedralbes in Catalan) is a building placed in the middle of an ample garden. From 1919 until 1931 it was the residence for the Spanish Royal Family when they visited the city. This building has been remodeled by some of the most important Catalan architects. This way, Joan Martorell, Carles Buïgas and even Antoni Gaudí worked in this amazing construction and its beautiful gardens. The Monastery of Pedralbes was founded by Queen Elisenda de Montcada in 1327 with the support of her husband, King James II. The building is one of the best examples of Catalan Gothic architecture, both for the church and for the three-storey cloister, one of the largest and most harmonious in this style. In Pedralbes neighbourhood we find a building designed by the most famous Catalan architect in the world: Antoni Gaudí. The so-called Pavellons Güell, or Güell Pavilions, is a complex of buildings built between 1884 and 1887. Gaudí proposed an Orientalist design, somewhat reminiscent of Mudejar art. In 1969 the Pavellons Güell were declared a Monument of National Historic and Artistic Interest. They are now used as the headquarters of the Royal Gaudí Chair, which pertains to the Universitat Politècnica de Catalunya. Additionally, the site also includes the Botanic Garden of Faculty of Biology. Finally, here we have a curious fact: there was a time when Pedralbes was a street racing circuit. The Pedralbes Circuit was a 6.316 km street racing course in Barcelona. First opened in 1946 in the Pedralbes neighbourhood, the course featured wide streets and expansive, sweeping corners; both drivers and racing fans loved the course. The circuit hosted the Penya Rhin Grand Prix four times and it also hosted the Spanish Grand Prix in 1951 and 1954. Unfortunately, due to stricter safety rules applied after 1955, the Pedralbes Circuit was permanently retired as a racing venue.